Earlier today, MMM East Africa, MMM Global Zimbabwe‘s parent organization, released a public statement on its website. The statement gave notice to all members of the immediate suspension of its account freezing process, 9 days earlier than initially scheduled (accounts were to be reopened on the 15th of September). The suspension of the account freezing process comes off the back of increased public pressure, government scrutiny, and mobile money platforms distancing themselves from it. The Reserve Bank of Zimbabwe issued a press statement warning the public not to get involved in schemes like MMM citing that in the case of loss of money, they had no legal precedence to assist affected members. This was followed by a press statement from Econet’s EcoCash (mobile money) division effectively distancing themselves from MMM and any other illegal activities its users participate in. The move by MMM East Africa has created a fair bit of panic and confusion within the MMM Global Zimbabwe ranks. Unfreezing of accounts could lead to a chain reaction of panic withdrawals as MMM members continue to grow speculative and frustrated with the system. Also, there have been reports that the exchange rate of Mavro-to-USD has been affected, changing from $1-to-1 Mavros to $1-to-5 Mavros. We suspect the change in exchange rate is meant to prevent people from withdrawing as they could face massive losses of up to 80%. But on the other hand, the change in the exchange rate could be to lure in new members promising that the exchange rate will stabilize back to 1-to-1 by the 15th. Some existing members are crying foul calling this drastic measure unethical as new members are being offered free money while they are stuck in the system due to their accounts losing 80% of its value. An old member who put in $100 and got 100 Mavros is not the same as a new member putting in $20 and getting 100 Mavros. First of all, we inform you about the immediate release of Mavros bought till August 10. The situation has become more stable so there’s no need to wait till September 15 and we can release Mavros now. However, as the participants aren’t calm completely the early release will surely lead to the sharp increase in withdrawals that will put additional load on the system. It should be clearly understood. So, it’s necessary to take some stabilization measures in order to reduce the load. That’s why, the discount rate has applied for Mavros bought till August 10. What does it mean? It means after GH request the participant won’t get the whole amount but the amount with this discount. For this moment, the discount rate is 20% (0.2). For example, if the participant withdraws 50 Mavro-USD he will get 10 USD. Once again we remind you once that this measure is temporary and required by the current situation. The discount rate can be changed or cancelled at any moment. In other words, the participants have a choice to get help instantly and get it with the discount or wait till the discount is cancelled for receiving the full amount. It’s up to you! Probably, you should wait. However, take into consideration that the rate can even be decreased (if the number of requests to GH will increase significantly). The discount isn’t applied for Mavros bought after August 10. So, keep calm, keep on participating, providing help and inviting new members to MMM! MMM paid before, pays now and will pay in the future! Together we are changing the world! We suspect that MMM unfroze accounts due to pressure, but found a loophole to keep people waiting. September the 15th is still D-day for MMM Global Zimbabwe. Signs of its collapse are becoming more evident by the day, as we await what could be the final nail in the coffin come 15 September. Pyramid schemes are such a classic and old way of giving perception of making money out of nothing. They have one end. A collapse. As long as people believe that they can make money without having to do any actual work or production, con men and prophets and witch-doctors will never go out of business. Contrary to ongoing media reports, MMM is very much alive and kicking. We the community remain steadfast and will not listen to media as they have only one aim which is to bring down our community. Measures will be taken in MMM and these are not signalling any collapse of any nature as media and the banking system want to enjoy and believe. Watch the space and see how we the community will continue helping each other and we will see in the future. Yes its a risk one takes just as people also risk depositing money into the formal banking system and what happened in the years before ie pre-USD era. Anyway, what in life doesn’t involve a risk? There is a risk that a bank can collapse and depositors lose their hard earned cash as what has happened already before… bottom line though is to him his own…the MMM community is alive and well despite all the negative publicity and all…anomakwa ndiye ane bhora! Questions, where are you head offices? have you ever been there? Why is the East African Administrator unnamed in such an important communication. What does MMM do that earns it money to pay you? If you are not lending and earning an interest, trading goods or services and you still earn money the you are stealing. I thought you said they already lost 80% of their money. Your article doesnt prove that they lost such money. Go back and revise your headline. You just dont like this MMM do you? did you not see where they said exchange rate changed from $1-to-1 Mavros to $1-to-5 Mavros. Thats how 80% of value was lost i.e. if you deposited 100$ and it was converted to 100 Mavros at the old rate. Using the new rate 100Mavros is now equal to $20. So $100 becomes $20, theres the 80% loss. Joining MMM you are joining an Ideology. Sergey Mavrodi ‘s ideology is to gather a team of poor people voluntarily helping each other with cash circulation.Money was invented by the Rich and its the Rich who makes the rules of money in this world so that they remain richer while they exploit the poor to remain poor. MMM is a gate way for the poor to come out of the rat race.Whoever understood this ideology would never stop at nothing in participating voluntarily. Its not the first time that MMM has suspended its system. In SA it did so in April this year , today its still functional in SA. In india it happened again, today its still functionl there.The rich creates teams to make the poor , poorer.MMM creates a team of poor people to make them Rich. I cannot agree with you more! A wonderful explanation of Mavorid’s Ideology! I would rather lose my money in MMM than the Bank! By The Way We Are Moving Forward, This Is Financial Revolution, Tired Of Crooks In Suits! So you run to crooks without faces! iwe unorwadziwa nei pamari yemumwe munhu. Handirwadziwe nemari yemunhu but handidi zvekuona zvima ads zve MMM on my timeline kana mumagroups ndichinzi hee join. Ita mari yako wega, don’t ask me to join. One will never lose money in MMM, for any money you remit is a donation to others. Donation is a voluntary offer of money to those in need. Besides, all old mavros will be paid back when the restart succeeds in the future. You’ve just cracked the code! I am sorry you know little about MMM. MMM inogona marketing. Its now like a religion kune vamwe vanhu. Mucharohwa twuma savings twese. Stop talking nonsense about MMM. Let thise who are participating on MMM say what they know. I better loose my money in MMM than in bank. Nxaaaa Viva MMM hatidzore tsvimbo nekuti waita weti. This article is wrong about people losing money in MMM. Not quite wrong, just slightly misleading. Yes, people have lost money. They lost money when they put money. The 80% they are ‘losing’ never existed so you can’t lose that which doesn’t exist. But carry on…. i have made so much money with MMM, gaining as much 50% interest per month… The banking system on the other hand has been taking money from me in the name of absurd charges… Even if I get 20% now, I still consider it a gain…. Well, I am a participant of MMM East Africa. And I prefer this system to all the banks in the world. Just because I know, MMM takes care of me. I am happy to provide help and get help. The article is wrong, and people do not really understand what is going on in MMM. Chero mukavukura mmm ichaenda mberi! hahaha, TechZIM, your voice is strange. It is ANTI-MMM Global ZIM. YOU ARE THE ONLY ONE. DOWN with you REMARKS, THEy ARE SICK AND TORRID., THEY ARE UNFOUNDED AND VERY ILL. MMM IS MOVING ON. I AM PROUD TO BE MMM PARTICIPANT. WOW!!! im shocked at the poor people’s gateway to riches, been reading comments and have seen thats why people are being conned by Fake Prophets. How does it work? If you offer to make a contribution (to Provide Help), any amount you pledge to help with will grow by 30% every month. The minimum amount you can contribute is $10. When you pledge to Provide Help, let’s say of $100, take note, this is just when you show a willingness that you want to contribute, in your MMM account you will be credited with $100, which starts to grow at 30% per month. After about 4 weeks from the day you requested to Provide Help, the system will allocate you someone to deposit that money to. You send or deposit that $ 100. In Zimbabwe all transactions are done via EcoCash and using Bitcoins. After payment you attach your proof of payment in your MMM account and the person you send the money will confirm that they received the money. Immediately you can withdraw a total of $130 ($100 plus $30 interest), or you can leave it to grow at 30% every month. When you want to withdraw your money (we call it Get Help in MMM). You just go into your account and click Get Help, specifying amount needed and in which form (either Bitcoins or EcoCash or Bank account). The system is very organized; you can only request to get Help after you have first Provided Help. The system is organized, you cannot cheat. What are the other benefits of MMM? When you invite others to join this wonderful community you will get 10% referral bonus of all contributions they will make. You can also enroll for a free 10 day manager training, after which you also get guider’s bonuses. Where does the 30% come from? MMM on the principle of financial pyramids just like all financial institutions, but in MMM ordinary participants get all the interest unlike in banks where they keep the money to themselves. MMM is a community of donation exchanges, the 30% comes from the community, from new contributions by old and new members, money circulates in the community. With over 200 million participants who access the MMM website, a lot of traffic is generated which also generates additional funds. MMM seeks to bring fair financial system. Since this is not an investment, participants withdraw amount they want to use. How safe is MMM? Will I not lose my money? MMM started 4 years ago and no one has lost even a single cent. They are strict regulations to ensure smooth flow. The system itself is very sophisticated. What are the requirements to join MMM? To join or register you only need an email address, and an Ecocash registered number if in Zimbabwe (other countries uses bank accounts), or a Bitcoin wallet (Bitcoins are internet/digital money; account creation is free). Legality of MM: MMM is a people community, which help each other for free, and absolutely consciously, they transfer money directly to each other, from one bank account to another, without any conditions, guarantees and promises. Just only because they want to do that. Because it is a good deal to help each other. It means the Mutual benefit fund as it is. There is no formal organization, no legal person in MMM. And of course there is no central bank account, no other activity in any form. Neither close, nor open. There is nothing! There are only millions and millions of simple participants, simple private persons. And their bank accounts. And nothing more. And of course there is no special registrations, permission and licenses in here. (Permissions and licenses for what and for what reason? For money transfer from one man to another? And whom this licenses and permissions should be given? Thus, MMM is absolutely legal and does not break any laws. Because there are only money transfers between private persons and nothing more. It is impossible to forbid MMM. The same way it is impossible to forbid people manage their own money the way they like. Thus they need to forbid the whole private property institution. So everything is absolutely clear with the lawfulness. There are no violations and they won’t be! MMM itself is more honest (in 100 times!) than any other bank, or any financial institution with their licenses or permissions. Because they all lie to you, hold or keep back something and so on. And only MMM doesn’t keep back you in silence, doesn’t hide anything and tell everything honestly and openly. “Yes, You take a great risk!… Yes, no guarantees!… Yes, You may lose everything at any moment!…” – Did You hear the same before anywhere? Only in MMM. Honesty, openness and trust. This are the three wheels on which the System stands. Have ever seen before the situation, when absolutely unacquainted people transfer money to each other with no reason? Giving them like a gift actually? Millions and millions of people all over the world, every day? Delirium? Fiction? Utopia? No, it is MMM! Participate! Welcome to the System! Long Live MMM! In MMM, members donate their spare money and they are rewarded for that. Financial Apocalypse is inevitable!! Give me your email address and phone number for free registration and I will send you detailed tutorial videos for easy participation. You can seek clarification by inboxing, WhatsApp: +263773072707; email: marumbironnie@gmail.com; skype: ronald.marumbi. MMM paid before, pays now and will pay in the future! Together we are changing the world!!! MMM will offer you opportunities, you can never get from anywhere else. There is no formal organization, no legal person in MMM. And of course there is no central bank account, no other activity in any form. Neither close, nor open. There is nothing! There are only millions and millions of simple participants, simple private persons. And their bank accounts. And nothing more. And of course there is no special registrations, permission and licenses in here. (Permissions and licenses for what and for what reason? For money transfer from one man to another? And whom this licenses and permissions should be given? Thus, MMM is absolutely legal and does not break any laws. Because there are only money transfers between private persons and nothing more. It is impossible to forbid MMM. The same way it is impossible to forbid people manage their own money the way they like. Thus they need to forbid the whole private property institution. So everything is absolutely clear with the lawfulness. There are no violations and they won’t be! MMM itself is more honest (in 100 times!) than any other bank, or any financial institution with their licenses or permissions. Because they all lie to you, hold or keep back something and so on. And only MMM doesn’t keep back you in silence, doesn’t hide anything and tell everything honestly and openly. “Yes, You take a great risk!… Yes, no guarantees!… Yes, You may lose everything at any moment!…” – Did You hear the same before anywhere? Only in MMM. Honesty, openness and trust. first of all MMM is not a bank I think people should read the ideology first before commenting. Its just a way of providing help and getting help. This article shows the “beauty” of sensational journalism: Talking like an expert about something you know absolutely nothing about! Nobody loses money in MMM. Although MMM is not an investment, there are definitely some safeguards that must be put in place to keep the system from collapsing… just like ANY bank, just like ANY investment firm. If there is a sharp drop in the market, investment brokers can institute similar rules to prevent investors from pulling out en masse. The measures are, as in this case, temporary while the market stabilises. The MMM community is the market, “trading” in Mavros. 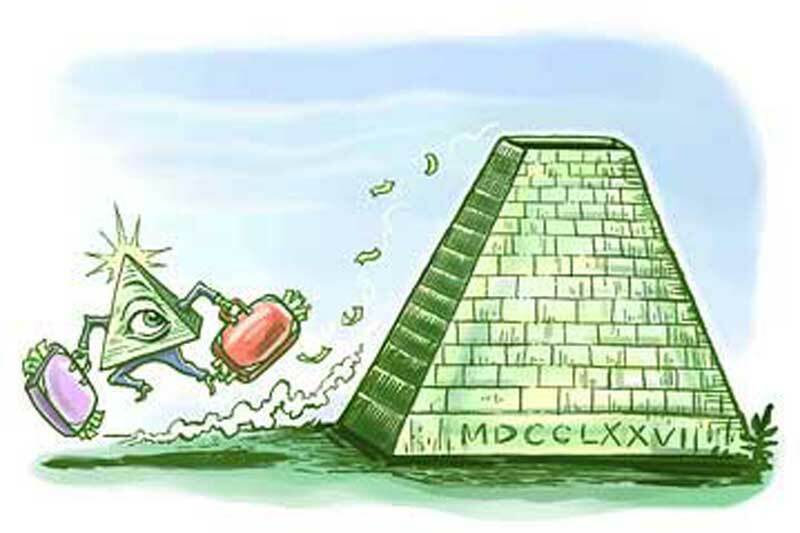 And if, due to external forces, the market is affected, MMM will, unlike other Pyramid schemes that aim to enrich the owners at the expense of the members, take measures to ensure that members don’t lose out… even if it means temporarily instituting measures such as reducing the rate or withdrawals. So, before claiming to know what is going on inside MMM, why not join it, ride with it using disposable money, and finding out first hand what’s going on? It’s easy to report on everything going on in your neighbour’s house without ever having stepped into it. But it doesn’t make it good journalism. My dear, MMM will never remain the same. The reason is that even Nigerians don’t understand the community, most people just joined because they want to make quick money and not because they want to provide help. So, come January most people will want to withdraw and only few people will be willing to provide help and that will cause a massive problem. So, I’ll advise that u should be prepared to lose your money. (It shouldn’t be a big deal because you decided to donate the money in the first place) isn’t it? I totally kick against that,come next year,there must be new policies,everybody must ph,no gh from the frozen marvo until later time when things are going on well,and the frozen marvo will be paid instalmentally till d system is balanced. The mind of most Nigerians next year is to gh,and it is not possible cos of d panic created by the so called federal government,…..which resulted to pause mode,if not d system must have crashed,….